Drivers using mobile phones while driving could soon be fined without them even knowing, thanks to new technology that can detect phone use. The new tech is slated to be installed in stationary traffic cameras and will not only be able to detect phone use, but will also be able to fine drivers automatically – no police intervention needed. 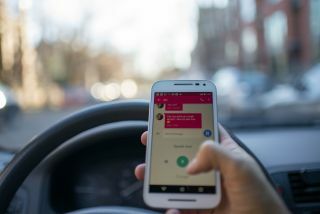 This call to action comes after NSW Minister for Roads Melinda Pavey asked for “practical, technology-based solutions” to prevent mobile use while driving, and could make it hard for drivers to get away with the offence. Currently, line of sight remains the primary means of detection for police. The use of camera technology in curbing mobile phone use offences has been included in the NSW Government’s Road Transport Legislation Amendment (Road Safety) Bill 2018, making the state the first in Australia to adopt this type of legislation.